– Its guidance does not put the user into a straightjacket procedure of doing A, then B, then C. The ‘guider green’ scheme greens up the button which the user probably should click next, while allowing the user to instead select any of the other buttons available. – Its guidance is well shaped from a close knowledge of the way UK retailers go about their business, mirroring the way users are used to working on paper. This is true as regards shape creation and measurement entry, and also in the way the jobs flows through into costing, estimates and invoices. 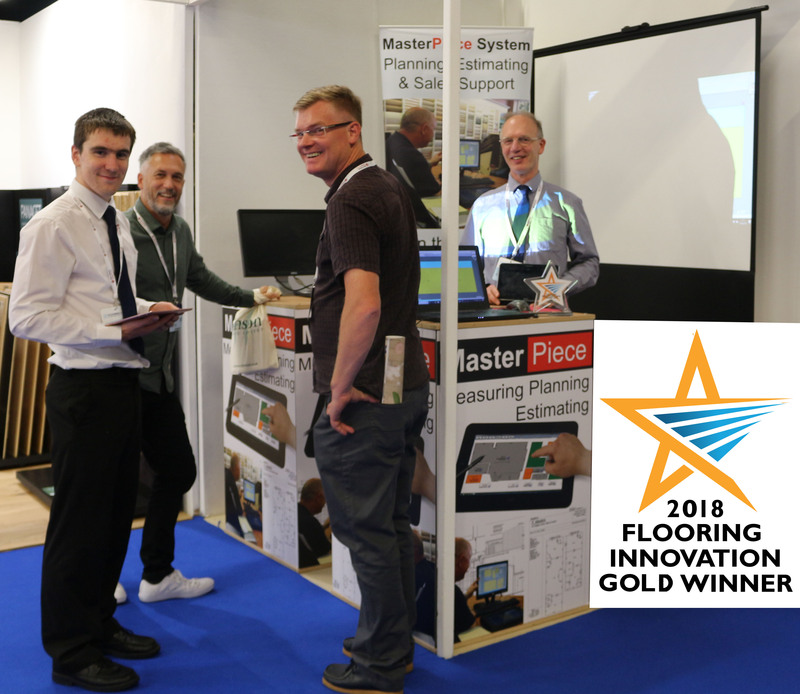 The industry’s newest awards scheme recognises everything that’s new, exciting and innovative in the UK flooring industry. It is an exceptional, independent award scheme enhancing the reputation of products in the flooring industry. Winning an Innovation Star is a badge of honour that recognises the best in the business! MasterPiece launched an automation extension to the facility for costing jobs, in which costing is done according to the retailer’s individual costing rules. This both speeds costing in the home and gives consistency in the costing across all the individuals who cost jobs for customers. MasterPiece also demonstrated a manual planning facility in which cutting plan can be created by drag and drop.